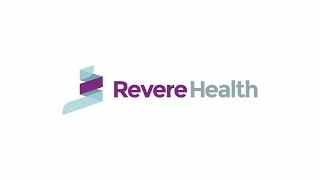 At Revere Health Salem Pulmonology, we offer patients a higher level of specialized healthcare. Our efforts focus on evaluating and managing respiratory conditions such as asthma, COPD, chronic cough, shortness of breath, respiratory infections and pulmonary hypertension. Our office is also equipped to treat sleep disorders including sleep apnea, insomnia and daytime sleepiness. We work with our patients to create treatment and care plans that promote increased health and stay current on the latest techniques and practices to ensure the highest quality of care. Call or ask your primary care provider to schedule a consultation today. Care for a lung disease that develops when air sacs in the lungs become inflamed, often causing them to fill with fluid. Care for a disease caused by smoking that slowly damages your lungs over time and makes it more difficult to breathe. Lungs infections; often including airway swelling, buildup of fluid, pus or mucus that can make breathing difficult. An infectious bacterial disease that is characterized by nodule growth in the lungs and other tissues. Treatment for a sleep disorder wherein breathing repeatedly stops and starts while sleeping, causing people to snore loudly. A cancer that develops in the lungs, often as a result of exposure to tobacco smoke and other carcinogens. The growth of inflammatory cells that often begin in the lungs, skin or lymph nodes. A form of high blood pressure that narrows the arteries in the lungs, causing your heart to work harder to carry blood to the lungs.